Pigeonholed as a mere urban preservationist or a naïve proto-Surrealist, Eugène Atget imbued his photographic “documents” with a distinct style and a melancholy vision. About 20 years ago, in the midst of a long sojourn with Henri Cartier-Bresson in Provence, this writer often heard the great photographer and enfant terrible proclaim that Eugène Atget was “boring.” That Cartier-Bresson was left cold by his illustrious predecessor, who lived from 1857 to 1927, is understandable, given Atget’s rather vague, and, from the story-telling viewpoint, slightly distanced pictures of street life, a genre at which Cartier-Bresson excelled. But this judgment (and one, mind you, coming from a French photographer!) ran directly counter to the settled conception of Atget in the entire photography world. Atget’s photos of old Paris, its buildings, decorative art, shop-fronts and tradespeople, and of the Ile-de-France, with its palaces, parks, rustic villages and canals, were introduced to American audiences by the photographer Berenice Abbott, who, as Man Ray’s studio assistant, knew Atget in Paris in the late 1920s. Her conception of him, not only as a great artist but as a founding pioneer of his art, was shared by Beaumont Newhall, MoMA’s first curator of photography and an influential historian on the subject, and there is, of course, much to be said for it. What Cartier-Bresson’s remark reminds us of, however, is the peculiar fact that Atget would not have been regarded as an artist by almost anyone else in Paris in the ’20s; that he did not regard himself as such; that his intentions were purely documentary; and that all he wished to achieve—outwardly at least—was an encyclopedic visual record of the imperiled French architectural patrimony. It was intended to serve as a kind of photo archive or “swipe file” for the use of illustrators, artists and designers. 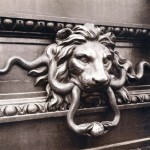 It is therefore of great interest that the Musée Carnavalet, the museum of the city of Paris, housed in a structure redesigned by Mansart in the 17th century and inhabited for 20 years by the celebrated letter-writer Madame de Sévigné, should present an exhibition of Atget’s work. The handsome, extensive show, which contains 230 prints and other materials, some of which have not been on view before, puts Atget’s work squarely in the context of its function as a record of Parisian material culture. Here the viewer is also free to compare Atget’s images with the museum’s vast holdings of minor but often very fine French paintings illustrating the history of Paris during Atget’s lifetime, an extremely transformative era for the city’s physical fabric. And as if that were not enough, the Marais, the largely unspoiled quarter surrounding the museum, is one that Atget himself occasionally photographed. The reconstruction of France since 1945 has dimmed memories of the wholesale destruction of the country’s architectural patrimony between 1853 and 1918, a period that saw the leveling of everything from magnificent cathedrals to ancient stone-built cottages. This process began under Georges Eugène Hausmann , who, as Napoleon III’s Préfet de la Seine, gutted large parts of Paris, especially between the Hôtel de Ville and Châtelet, in the heart of the city, and replaced them with modern quarters and spacious boulevards. A new form of devastation appeared during the Franco-Prussian War of 1870–71, when Paris was besieged and bombarded by the Germans, and again during the week-long, bloody civil strife between the adherents of the Commune and the troops of the Versailles government—the so-called semaine sanglante—of May 1871. During these engagements the Communards, embittered over the summary executions of their comrades, burned one of Paris’s architectural glories, the Hôtel de Ville, as well as the Palais des Tuileries, much of the Palais-Royal, the Cour des Comptes and the Palais de Justice. Since Atget moved to Paris from Bordeaux in 1878, much of this happened before his time, but Hausmann’s urban-renewal project, left incomplete in 1870, was continued under successive Paris administrations. And as a constant reader of historical writing and of the republican, left-leaning daily press Atget certainly understood what had happened, and in any event the physical and psychological scars of the hostilities had had little time to heal. Then, during World War I, a lot of the housing stock in several populous areas to the east of Paris was flattened by artillery, and the great Gothic cathedral of Soissons, among other treasures, was virtually destroyed. In 1919, all of the city’s fine, encircling fortifications, which had proved futile and which Atget had photographed, were razed. In the light of this ongoing catastrophe, Atget’s archive has to be seen largely, if not exclusively, as a self-sacrificing, even patriotic attempt to preserve an all-encompassing record of a material culture headed largely toward oblivion. The hagiographic approach to Atget, which tends to ignore his preservationist role and makes of him the Saint Peter of the church of modern photography, has never been especially convincing. Many of his images are not very pictorial, and when they are plentifully exhibited, as in the Carnavalet exhibition, you can get a little bored, like Cartier-Bresson. You notice that your feet hurt and your neck has gotten stiff. But if you compare his rendering of Paris to, let us say, that of Charles Marville (pseudonym of Charles François Bossu, 1813-79) who made an excellent, officially commissioned photographic record of the city before Hausmann’s urban-renewal program got fully under way, you begin to see how quietly charged with emotion Atget is. Marville is analogous to Atget in that he gives us pre-Hausmann Paris just as Atget gives us pre-World War I and—20s Paris. The difference, however, is that while Marville presents crisp documentation tout court, Atget, though proposing no more, finds his way toward a rich, warm urban sensibility, which though often wanting in typical pictorial effects— engaging anecdotes, striking lighting, powerful compositions—is persuasive as a cumulative visual response and capable, above all, of pointing out a vast number of things a civilized person would wish to see, if only they hadn’t been destroyed. Atget’s custodial approach to Parisian civilization, with its insistence on a middle range of tone and its struggle for sharp detail, is aided by the very same equipment that restricts any rapid registration of street life, of social bustle—the large-format (18 x 24 cm) view camera. 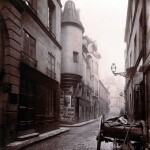 The upshot—given the naturally overcast, often rainy weather in the Ile-de-France and an obvious preference for shooting when no one is present—is a melancholy, rather dark, often damp and mostly empty Paris, a Paris that never existed and is really a reflection of Atget’s solitary, meditative temperament. It is often forgotten that Atget was only one of more than a dozen photographers, including those in the Union Photographique de Paris, pursuing the documentary objective of capturing the essence of Paris. Yet his work retains its unique appeal when juxtaposed with that of a somewhat similar contemporary. The Carnavalet show has devoted a room to 17 prints (and a few postcards) by Emmanuel Pottier (1864–1921), a sometime member of the Union and a talented amateur who sold several score photographs of the city to the museum between 1899 and 1905. These photos are smaller (13 x 18 cm) than Atget’s and have an excellent print quality; what’s more, not only does Pottier follow the same procedure as Atget, he can also be observed arriving earlier at some of the very same locations and, in a few cases, selecting virtually the same view. A wall text describes the duplication as “troubling,” but without elaboration, so one doesn’t know what is being implied. Plagiarism? A copycat mentality? Surely only a mistaken conception of Atget’s and Pottier’s intentions would lead one to be troubled by such resemblances. Both were documentarians; they were not striving to “brand” themselves, as we might say today. It is only that they might arrive coincidentally at the same spot, under similar lighting conditions, and take the same picture, or almost. 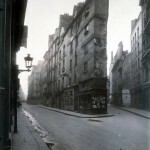 And actually Pottier’s work, as shown here, does not really look like Atget’s. That comprehensive, melancholy vision is lacking. It is always dangerous to celebrate any visual artist as a forerunner of some later movement or development, as so many critics have done with Atget, because one ends up stressing aspects of the images that were not present to the mind of the creator or central to the period. 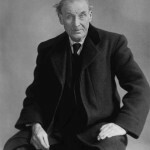 Man Ray, who detected a Surrealist element in Atget’s work—his collection of 43 prints receives a room in this show—requested four photographs for inclusion in an issue of the journal La Revolution surréaliste; Atget agreed, but only on condition that his name not be used, since he regarded himself as a documentarian. Abbott, and many others following her lead, championed Atget as an artist, but the unguarded ease with which they drift into discussing the content rather than the style of his pictures drastically undermines their case. In response to this confusion, Edward Weston wrote, “Atget was a great documentary photographer but is misclassed as anything else. The emotion derived from his work is largely that of connotations from subject matter.” This is brutally accurate, up to a point. It is true that much of Atget, especially before 1910, is a very special sort of photography of architecture and design that demands respectful acknowledgment of the vanishing French crafts and manual trades that he recorded, from stone-carving to iron-forging to shopfitting, and most American photography enthusiasts have not been prepared to concede this. But Weston’s stricture is also too sweeping, and, in that sense, it is wide of the mark. Atget’s abortive career as an actor probably conditioned much in his future approach to photography. Maria Morris Hambourg, in a sensitive essay devoted to the few remaining records of his early life, discovered a talented young drama student dreadfully thwarted by five years of military service that ended up destroying his hopes for a profession on the stage. As an alternative métier, documentary photography, ill-paid though it might be, freed Atget from the weight of all overseers, all bosses; Hambourg notes that he always spoke scornfully of the army, kept a complete file of press clippings about the Dreyfus Affair (which pitted the officer corps against liberal critics), and except for one instance declined to accept commissions from anyone, including from well-disposed municipal bodies like the Bibliothèque Nationale. Extremely well-read, especially in theatrical classics, a close reader of the daily press, a collector of cartoons aimed at the authorities, Atget, was a solitary autodidact—proud, brilliant, self-disciplined, opinionated, fiercely argumentative. When he developed stomach problems and was advised to take only milk and bread for his midday meal, he touted this repast to others as the only salutary form of nutrition. 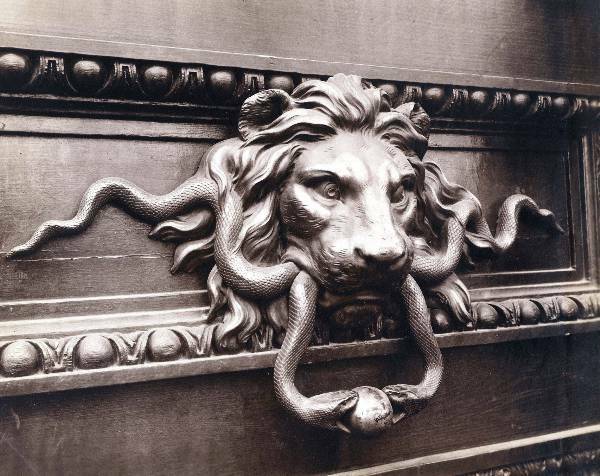 We say that if life gives you lemons, make lemonade, but Atget’s devotion to the sweet uses of adversity had something contentious, something obdurate and retributive about it. One is tempted to conjecture that the idea of “possessing” all Paris—the word is his—was at bottom a pugnacious, “I’ll-show-them” attempt to turn fate on its head. What a pity that he did not live long enough—a few more years would have sufficed—to experience the tremendous acclaim his work would receive, especially in the United States. 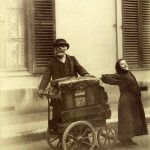 There is this paradox about Atget: he achieves fabulous documentary completeness because of the encyclopedic volume of his output, but within this admittedly “boring” prolixity, if you look carefully, you find a limited but solid quantity of highly expressive images that reveal Atget the stylist. Look at the many “picturesque” old courts that he captured, for instance. Despite Atget’s early training as an actor, in these photos one observes a general lack of similarity between his handling of spatial recession and the advanced stage design of the early modern period: Atget was not a modern and did not seek after modernist effects. What you do not see, most noticeably, are long slanting cast shadows or any strong divisions between light and dark that might heighten drama at the expense of visual information. These pictures prefer to register local values as seen in grey weather, and thus convey the details and patina so important to the history of building types and the appreciation of the picturesque. But it isn’t as if his vision doesn’t add up to something persuasive in its own right, especially if you stick to his best pictures—like the Ancien Collège de Chanac or the unusually stagey Cour, Rue Broca, with its hidden, watchful figures, or the numerous door-within-door exercises, in which portals are shown leading to farther portals, usually dark and forbidding. This is a vision of the city as a collection of spaces that always lead somewhere else, but often via prohibitive passages, tempting but forbidden. In the street scenes, multiple vistas appear, and narrow notches disclosing lanes leading away into the distance, although some of the secondary lures to one’s eye—the open door at the side of the alley, the watery depths through the murky shop window—are at first barely noticeable. People are spied at a distance, just leaving, or lurking behind closed windows, so that a sense of the unknown hovers. The conviction that commercial establishments are theaters of mystery harks back to Watteau’s masterpiece The Gersaint Shopsign, whose principal figure turns her back on the viewer and whose action defies interpretation, and permeates Atget’s many pictures of facades, whether of cafes, shops or, quintessentially, brothels. Faces are blurred behind glass or averted, though in the late, frank pictures of prostitutes, as in those of destitute rag-pickers, many of which are shown here, Atget achieves the rank of a commanding social observer. And so it is that one grows aware that curiously enough, at one time or another, Atget, whether despite his program or because of it, could do almost anything that is possible with a view camera. He did not enlarge; he did not always print perfectly, but when he did, the result is spectacular. The Carnavalet’s print of the Parc Delessert, a photograph of a vanished botanical garden laid out by a great Protestant industrial family in Passy, at the western confines of Paris, is a little miracle. Allot a good quarter of an hour just to relish this tiny piece of paradise.